I have a 08 1.8 i-shift civic which At low idle cause the car to jump (similar to manual with poor clutch control) can also happen in reverse. I also notice that when sitting in drive the car doesn’t hold position and may roll on a hill. Would this be the clutch actuator or something else? 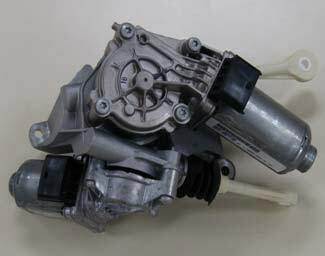 Hello i have honda civic 1.4 semi-auto and i have problem with actuator can you give me the price for repair. Can I Please have your quote too? I have an ’08 Honda Civic with i-shift. Gears are not engaging exactly asbthry should although the problem doesn’t seem severe. Please email ball park, minimum to max typical pricing please. It might be that you’ve caught the iShift fault in its early stages, which is great. However, the fault you’re experiencing may not be related to the actuators or the TCM but we can’t say for sure until we’ve tested the units off of the vehicle so that they are isolated. I have sent you an email with full information and pricing. It does sound like the vehicle may be stuck in a high gear or that the clutch is not releasing fully. It will need to be investigated to determine the root cause of the fault. 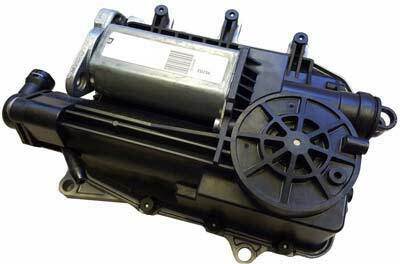 If the fault lies within the actuators (clutch/gear) or the transmission control module, we can remanufacture these parts and return them with a lifetime warranty. It’s great that you’ve had the fault diagnosed and the dealerships have identified the fault part, being the gear actuator. We remanufacture the gear actuators and all repaired units are returned with a lifetime warranty. I have sent you an email with full information and pricing. If you have any questions, please reply to the email and we’ll be happy to assist you. I have a honda jazz 2009 1.3 petrol. Was driving fine. Now wont start as the gearbox light is on. Wont engage in any gear at all. Any help. The fault will need to be diagnosed. Although this can be a symptom pointing to the complete failure of the iShift actuators or transmission control module, it could also be something as simple as the battery supplying power to the units. The fault you are experiencing will need to be thoroughly investigated in order to determine the cause. We have seen similar faults where the actuators will play up when cold and then start working when warm but it may not be an actuator fault. If your technician is unable to find the cause, you can certainly send the actuators to us and if they are faulty, we will process them for remanufacturing. Any repaired units are returned with a lifetime warranty.